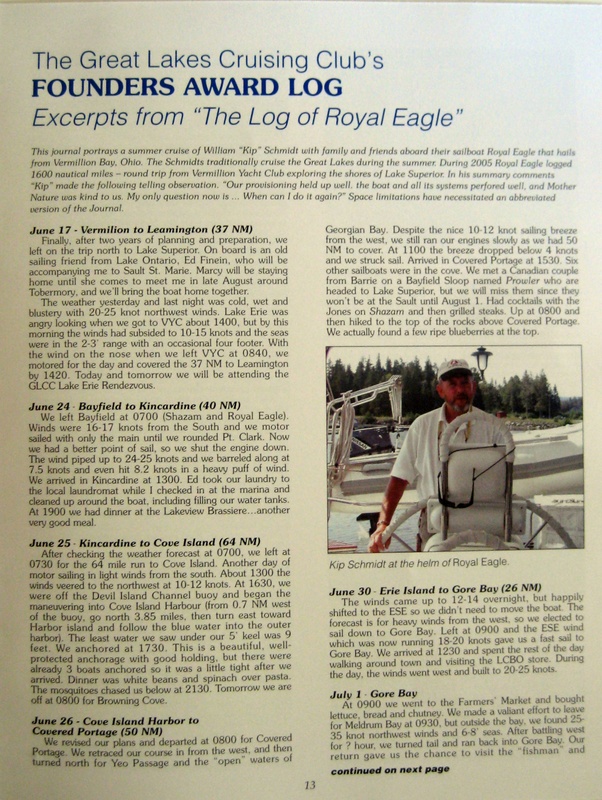 Royal Eagle’s 2005 Lake Superior Log was featured in the March 2008 issue of Great Lakes Cruising Club’s Lifeline magazine. While some of the log was omitted due to space restrictions, the vast majority of entries were included in their entirety, as well as many of the photos. The cover can be seen below, as well as the first page of the article. 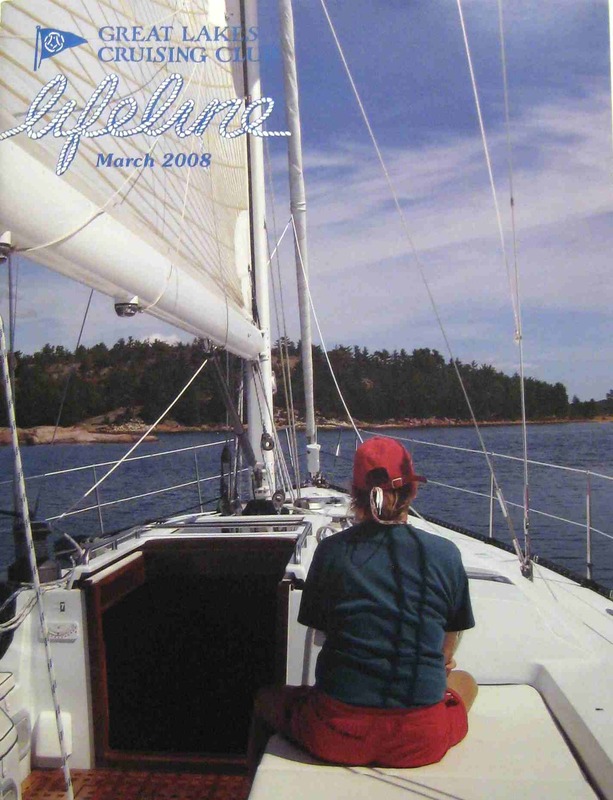 I have not included the entire article, as you can read the complete log by clicking on the following link: 2005 Lake Superior Log.